""Not the great movements of time but the ordinary things that make us what we are"" are the concern of the seven stories in this scintillating collection. Though their settings range from the mean streets of contemporary Boston to the badlands of a postapocalyptic future earth, Shepard's genre-bending blends of fantasy, crime, western and SF find a common compass in small moments that invite characters to examine themselves and the relationships that define their identities. In the Nebula-winning ""Barnacle Bill the Spacer,"" a security officer fights a fascist gang overrunning a space station and sees in their persecution of a half-witted maintenance worker self-destructive traits that have hindered humanity's efforts to colonize the stars. In ""A Little Night Music,"" a critic finds the music of a zombie jazz band resonating with the death of love in his marriage. Except for the female narrator of ""The Sun Spider,"" Shepard's protagonists are men employed in rugged, often outlaw occupations that have shaped their solitary, self-reliant personalities. Like the gangster in ""Sports in America,"" who finds a metaphor for his work in the ruthless business side of professional athletics, and the aging boxer in the title story whose injuries give him special insight into the animal nature of his opponents, they find quiet epiphanies in their brutish daily experience. 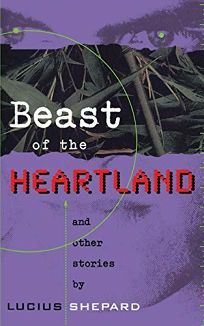 Redolent with the influence of Hemingway and Conrad, these engrossing stories extend the legacy Shepard has already established through The Jaguar Hunter and The Ends of the Earth, as one of the most provocative writers of short speculative fiction. (Apr.) FYI: This book was published in Great Britain in 1996 as Barnacle Bill the Spacer and Other Stories.